So, I’ve been encouraging you to step outside your comfort zone because that’s where The Magic happens, right? But now, I’m bumping up against an uncomfortable truth. Sometimes it’s UNCOMFORTABLE when you step outside that zone. Here are my latest examples. Auditioned for a play. I thought it went really, really well but I still didn’t get the part. Went out a few times with a nice man. I thought he liked me, but he quit calling. 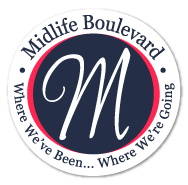 Went to hang out with the bloggers at BlogHer, and felt like I didn’t fit in because I looked too young, because I looked too old, because I wasn’t cool enough. Every time I felt rejected. Every time I felt like a failure. Ten years ago I would have been devastated. I would have walked away vowing to never try again because the pain wasn’t worth it. I don’t know why it’s different now. Maybe because I survived the end of my marriage and no one died. Instead I came away feeling more powerful. Maybe it’s because I finally (FINALLY!) internalized the truth that when I feel rejected, it’s not usually about me. Sometimes you don’t get the part because you’re too tall or too short. You’re the wrong age or have the wrong coloring to fit into the fake family the director is creating. Sometimes you don’t get another date because the man has things going on in his life or with his health that make him decide the timing is wrong. Sometimes other women treat you badly because of their own issues. Sometimes what feels like rejection isn’t really rejection. On the other hand, sometimes you ARE rejected and it’s reasonable to feel hurt. But life goes on. Even though Director A thinks I’m not good enough, Director B may think I’m wonderful. Even if Mr. C doesn’t like me enough to make room in his life for me, that’s okay. I’d rather be alone than in a bad relationship. And I’m not even going to get started on the Mean Girls. I’m not going to quit stepping outside my comfort zone. The Magic you find in trying new adventures is worth a little bit of rejection. I’m choosing to overlook the rejection because overall life is better. 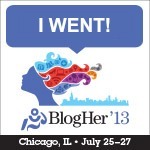 I thought you were a triumph at BlogHer! Everyone I met raved about you. I really admire your for busting through your comfort zone. You inspire me. Awe, Anne. You’ve been inspiring me for years. Love you! I’ve been reading you long enough to observe how often your process comes back around to being affirming. You’ve become your own friend! And mean girls after middle school usually get what they deserve which is the company of each other. Hi Susan! I never thought about the long-term fate of mean girls. They DO deserve each other. I WILL! Again & again & again. The Magic does live outside our comfort zone. And from pain, we grow. Bummer that it doesn’t happen when we complacently stand by and accept the status quo, but it doesn’t. We have to shake things up a little bit, or sometimes a LOT. Good for you, Elizabeth! Yay, Kim! It’s a total bummer that it takes pain and/or discomfort to grow. But that’s life. What’s that old saying about how many times Thomas Edison had to try different things before he found the right filament for a light bulb? We don’t fail, except when we allow a situation to stop us from trying again. I think that at a situation where there are large groups of people gathered you have very few people who are truly comfortable and a whole lot of people faking it. I would not have survived that weekend without you! And you are stronger today than you were yesterday. That growth is powerful. It’s funny, Julia, but I thought about Thomas Edison when I was writing this. I know in my head that most successful people lived through many, many rejections and failures before they found success, but that message doesn’t always make it to my heart. I’m so glad you were my roomie at BlogHer. I wouldn’t have survived without YOU, either. You’re right…and it wouldn’t be much of an adventure if everything went our way all the time! Hi Carol! I love adventures, but they do get exhausting sometimes. Kudos to you! I wholeheartedly agree, and I try to remember that initial rejection hurts a bit, but I’d rather be snubbed by the mean girls right from the start than be stabbed in the back later. That’s a VERY good point about being stabbed in the back. I totally agree. Good for you for getting back up, dusting yourself off and starting all over again. (this is from an old song called High Hopes). Seriously, I’m glad you see that there are other factors beyond what meets the eye. Sorry we didn’t connect at BlogHer; maybe next year. 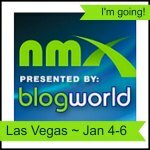 We’ll definitely have to connect at BlogHer next year!